Here's a list of the current and future Home on the Range projects we're working on. Flooding of West Beaver Creek at the Cabin site in 2015-16 indicated the need for a professional site plan before proceeding with future improvements. 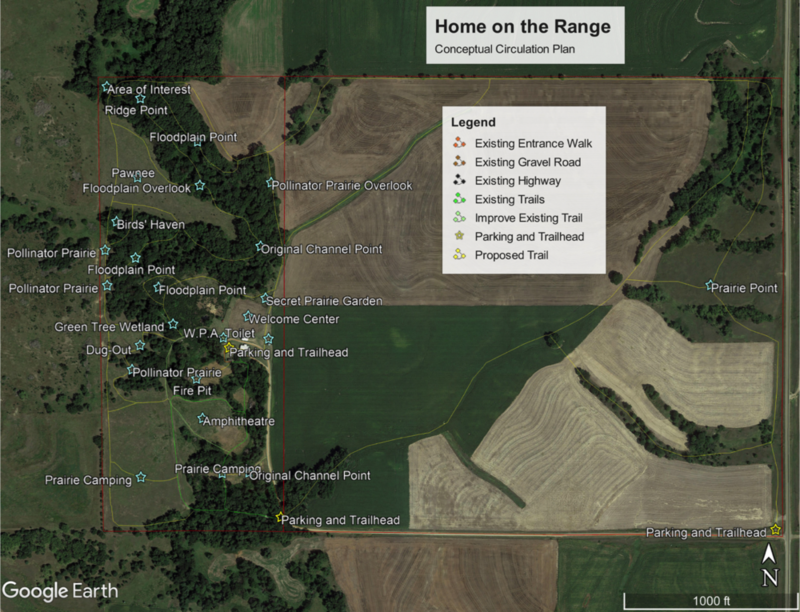 Joshua Lippold, Mankato, KS completed a comprehensive plan for the Home on the Range site that includes proposed locations for new permanent structures, completion of paths suitable for riding, hiking and biking, erosion control and many other exciting improvements. The 240 acre Home on the Range site includes Dr. Higley's original homestead plus 80 acres. Effective January 1, 2018, use of the cabin site will be increased to 55 acres which represents all of the range land and more importantly the entire length of West Beaver Creek which was in the original homestead. The following list is only a brief overview of all that is involved in the multi year plan.